A very merry Christmas to all! wishing you happiness and success for 2014! 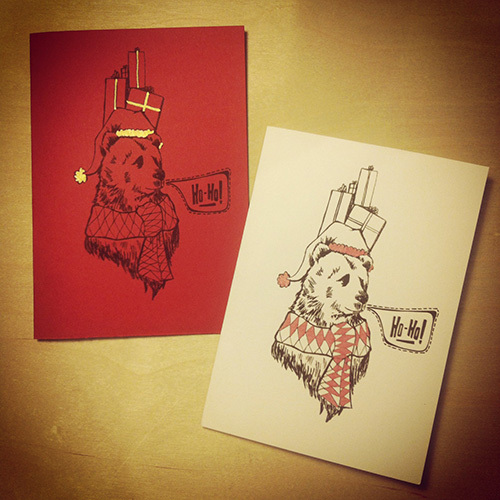 My illustrated card this year features a bear wrapped up for winter, and comes in 2 colours with hand finished gold or red details. Ho ho ho and all that!